Notes: Another lovely afternoon today, I enjoyed the sunshine walking some footpaths around Writtle. 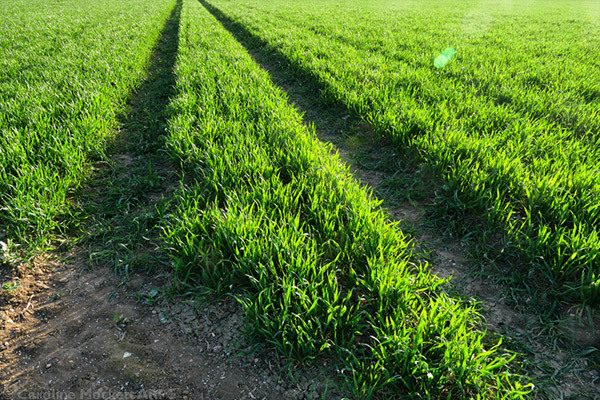 These tramlines in the crops made a great lead in and perfect for Treasure Hunt Theme #16 – Between The Lines. 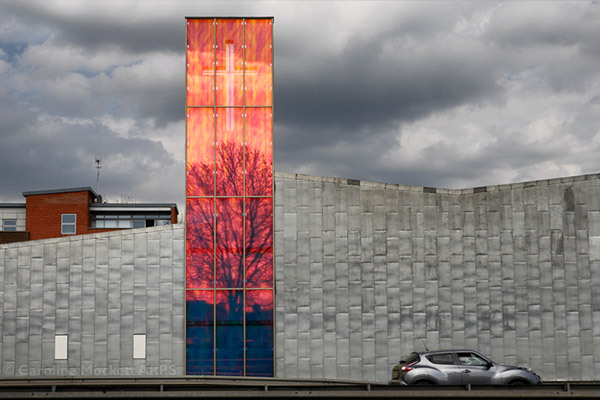 Notes: I had a meeting in London this evening and so caught the train in the morning and went for a long walk around the Greenwich peninsula for the afternoon. 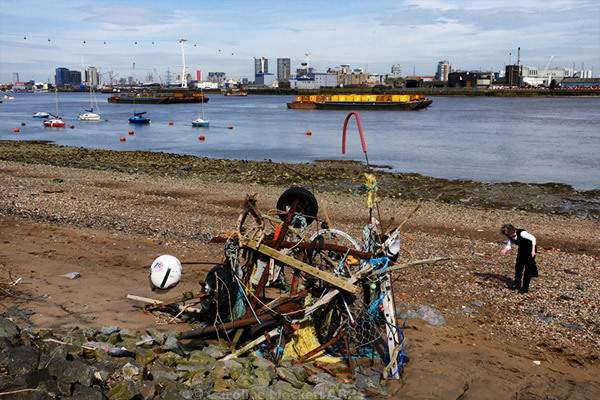 This lady was beachcombing near the flotsam sculpture along the banks of the Thames. I wonder what she found? Notes: Wednesday meas work in Westminster again. And today was the tragic day for the UK when PM Theresa May initiated the Article 50 Brexit process in Parliament. 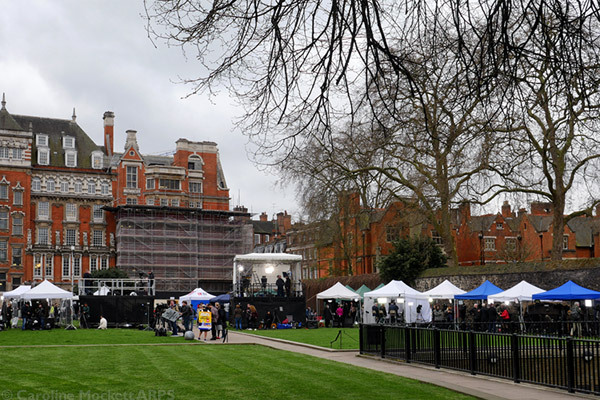 I had to walk past College Green to get to Millbank and had never seen so many “media circus” tents pitched so that the reporters can be filmed with the Palace of Westminster as a backdrop (behind me in the photos). What a depressing day. Notes: I went to visit Mum & Dad today but left home a bit early so that I could find a few geocahes along the way. 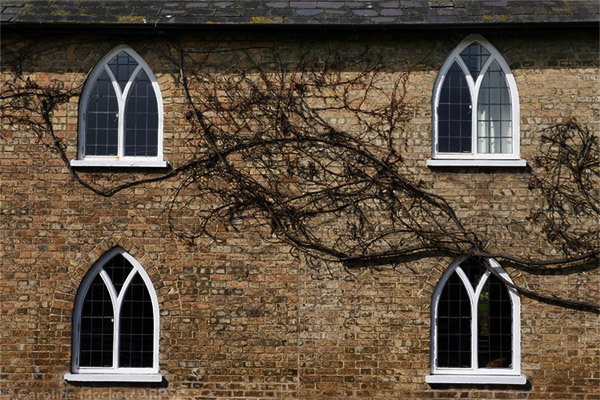 I stopped off in Copford where I found these unusual arched windows making a rather attractive architectural shot. And perfect for Treasure Hunt Theme #14 – Arches. Notes: Today’s outing was to the Langdon Hills Country Park for a great geocaching walk. 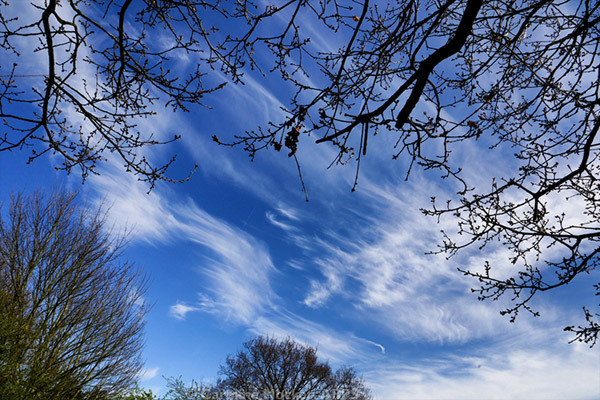 The sun shone and the wispy clouds provided some interest against the silhouetted trees.